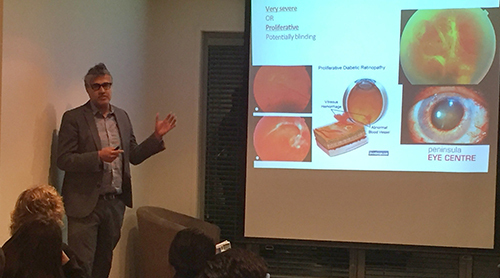 On 30th May, our team at Peninsula Eye Centre proudly hosted the “Clinical Update 2017” event to our local optometrists. 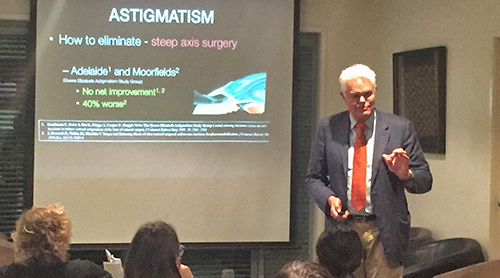 Dr Rick Wolfe discussed why “Astigmatism elimination makes all the difference in cataract patients”. Dr Ed Roufail then presented on “Alternate aetiologies of subfoveal choroidal neovascular membranes and the surgical management of subfoveal haemorrhage”. 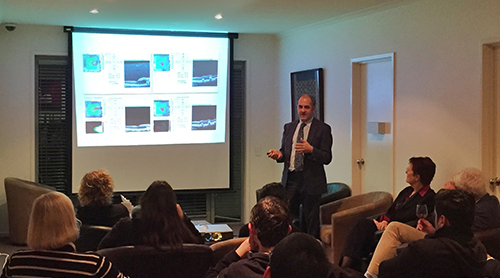 The event continued with Dr Suki Sandhu providing an update on “Treating Diabetic Retinopathy”. 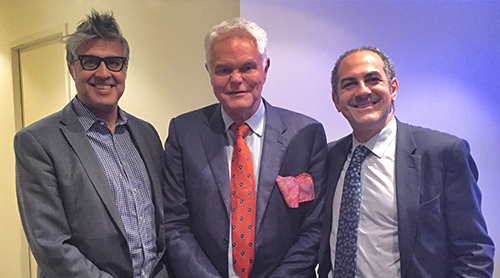 The CPD accredited event provided optometrists with up-to-date clinical education to deliver the best possible advice to patients. Thank you to our presenting doctors and guest optometrists for participating in these valuable and important discussions. This entry was posted	on Friday, June 2nd, 2017 at 2:50 pm	and is filed under In the News. You can follow any responses to this entry through the RSS 2.0 feed. Both comments and pings are currently closed.